Forbes reports that a $1,000 investment in Facebook in 2005 would have yielded $624,500 today, while a $1,000 investment in Dropbox in 2008 would have grown to $391,500. Investing in a start-up business is a risk. It's possible that investing in start-ups can yield high returns, but there is always the potential that a good idea either doesn't catch on or the business doesn't survive. If you've decided to invest in a start-up, look out for these warning signs to determine if the business deserves your money. Ensure the team works well together and the company is focused on its goals. No start-up can guarantee a high return, or any return on your investment at all. Stay away from programs or companies that "guarantee" returns when they give their pitch. 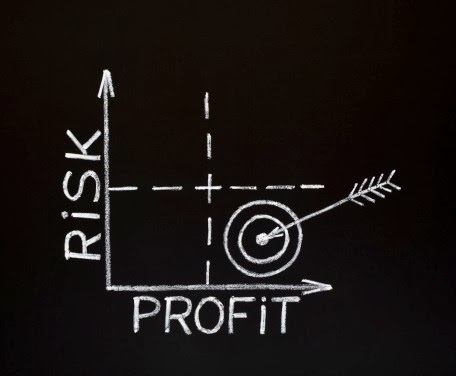 While they may be able to show expected returns within their business plan, big rewards always come with a high level of risk. No one, not even the owner or CEO of a company, can guarantee you'll see returns on any money you invest. Stay away from investments that require you to act immediately. As an investor, you should be making informed and researched decisions before any money is exchanged. If you're given a time limit to make a decision, they're most likely trying to keep you from consulting with others or completing your research. If you can't make an informed decision, walk away. With search engines, it's easy to conduct research on any topic, including start-up investment opportunities. If all the research you conduct returns positive information from promoters or other third-parties involved with the business, you're probably not getting the full picture. The reverse is true, too. If you can't find any information on the business or the research returns all negative results, it's probably wise to stay away. Turnover is a part of business, but when key team members start to leave early on, it's most likely a warning of things to come. This is especially true if you find that executive management or founders have decided to jump ship in the beginning stages. If a start-up team is dysfunctional from the start, it can be a hard sell for investors. Ensure that current employees and executives are working well together and everyone is on the same page. If not, it can be a sure sign to stay away and put your money elsewhere. Successful start-ups need customers, multiple revenue streams, and a product or service that offers something over the competition. Although competition isn't a bad thing, if they're generating more buzz than the start-up you're considering, your money may be better elsewhere. This is especially true in a saturated market when the business is competing against companies that are already turning a profit. There is no such thing as investing without risk. You'll also want to ensure that the company you're considering hasn't lost focus and decided to chase a quick buck rather than follow their business plan. A good business plan includes multiple revenue streams rather than relying on one way to generate income. If you plan to invest in a tech start-up, make sure people are using the technology. If the business has no customers or consumers aren't adopting the technology, it'll be hard to make money in the long run. If the investment opportunity sounds too good to be true, then it probably is. Don't forget to use common sense and stay away from any opportunity that just doesn't add up. There is always risk when investing money in start-ups, and any good owner should know this, too. There is no such thing as guaranteed results in the world of start-up investing. Ensure you conduct thorough research, consult with others, and use common sense before you lose your hard-earned money. About the author: BrianFlax is a freelance writer for MediaShower based out of the Washington, D.C., area. He is experienced in a variety of topics including business, finance, and technology.